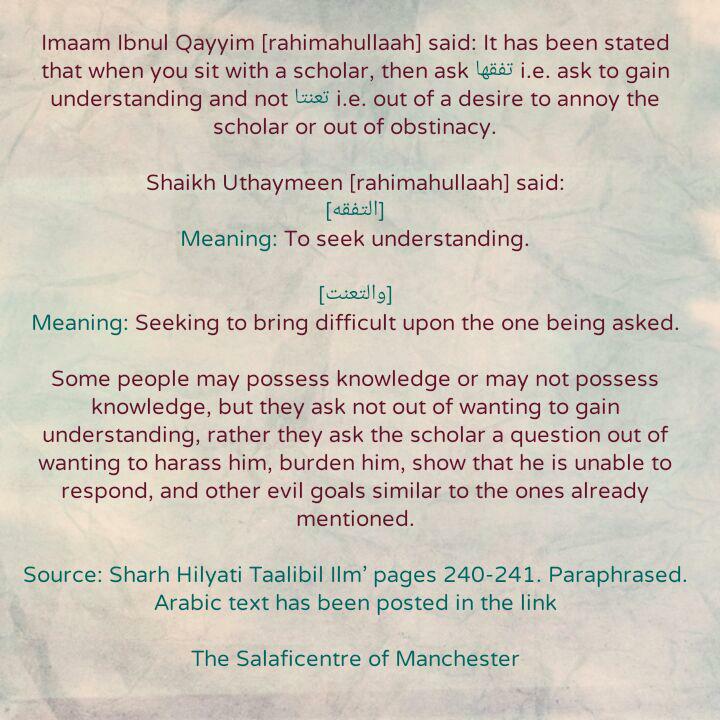 Imaam Ibnul Qayyim [rahimahullaah] said, “It has been stated, ‘When you sit with a scholar, then ask [تفقها- i.e. ask to gain understanding] and not [ تعنتا – i.e. out of a desire to annoy the scholar or out of obstinacy]. [التفقه]- meaning: To seek understanding. [والتعنت]- meaning: Seeking to bring difficult upon the one being asked. 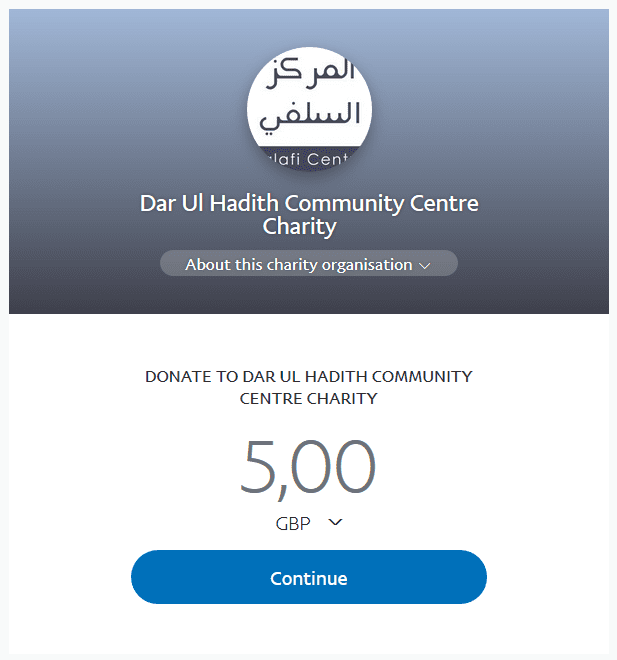 Some people may possess knowledge or may not possess knowledge, but they ask not out of wanting to gain understanding, rather they ask the scholar a question out wanting to harass him, burden him, show that the scholar is unable to respond, and other evil goals similar to the ones already mentioned.